10th Special Forces Group – The first DI made for the 10th SF was made by a jeweler in Germany when the group first deployed in the 1950’s. This is an exact museum quality reproduction of a stick pin that was made by the original designer but converted to a tie tack. Can also be worn as a lapel pin. 10th Special Forces Group (Beret) All Metal Sign 14 x 10"
10th Special Forces Group (Europe) (Beret) All Metal Sign 14 x 10"
B-29 Sterling Tie Tack comes complete with a T-bar back. 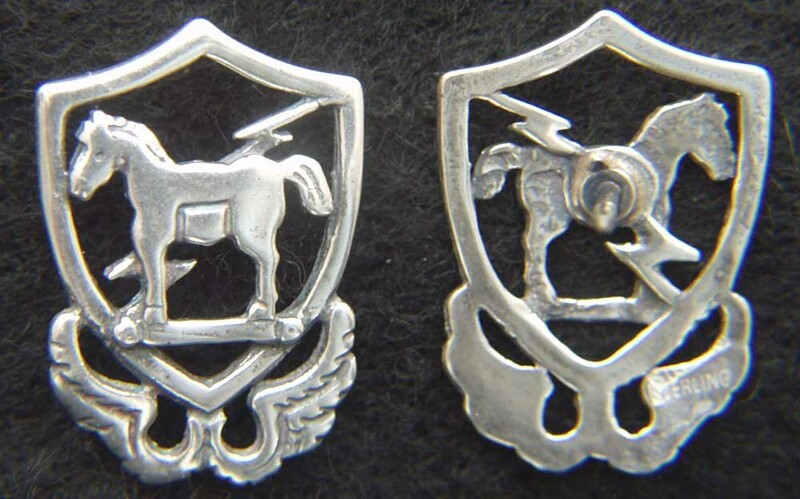 The picture shows a charm, you will get a proper tie tack.